Pianist Jeremy Manasia has been a fixture on the New York City jazz scene for over 20 years, as an in-demand sideman, bandleader, composer, recording artist, and educator. His 6 records as a leader spotlight more than 40 compositions, and his bebop rooted, soulful, impressionistic approach on the piano. Jeremy has performed all over the world with many of the greatest living jazz musicians, including Gary Bartz, Al Foster, Jimmy Heath, Eddie Gomez, Louis Hayes, Javon Jackson, Willie Jones III, Peter Bernstein and Jimmy Cobb, and can be seen regularly in NYC venues: the Village Vanguard, Smalls, Mezzrow, Smoke, Dizzy’s and the Iridium. In addition to his 6 releases as a leader, he has appeared on more than 20 records as a sideman, most recently “For You” - Javon Jackson, and “Art” - Ayumi Kokestsu. 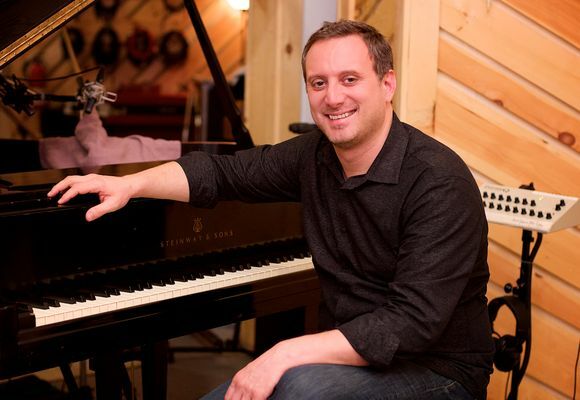 Jeremy has been a finalist in the Thelonious Monk Competition, the Great American Jazz Piano Competition, and the American Pianists Association Jazz Piano Competition. Jeremy had the honor of working with many master teachers, beginning with his intro to jazz from Justin DiCioccio, while a high school student at the LaGuardia HS for Music, Art and the Performing Arts; continuing with jazz piano studies at the Manhattan School of Music with Harold Danko and Garry Dial; and post graduate studies with Barry Harris, Harry Whitaker, Chris Anderson, Dutch legend Franz Elsan, and piano guru Sophia Rosoff. As an educator, Manasia has mentored several generations of jazz pianists; coupling a harmonic approach derived from Barry Harris and his studies abroad, and a philosophy inspired by a more than 15 year practice of zen buddhism, to help bring out a student’s uniquely individual voice. Jeremy is on faculty at the Manhattan School of Music, a panelist for the National YoungArts Foundation, has won a Presidential Scholars Teachers Recognition award, numerous Downbeat Student Music awards and three Charles Mingus Competition awards for his teaching.